In the fall of 2010, as the Senior Pastor of First Baptist Church Jackson, MS (FBCJ), Stan Buckley led his church into a mission project in Haiti whereby they would build a sustainable community for those still living in tents as a result of the devastating earthquake that took place in January of 2010. In May of 2011, they began construction of this sustainable community on 17 acres of land. 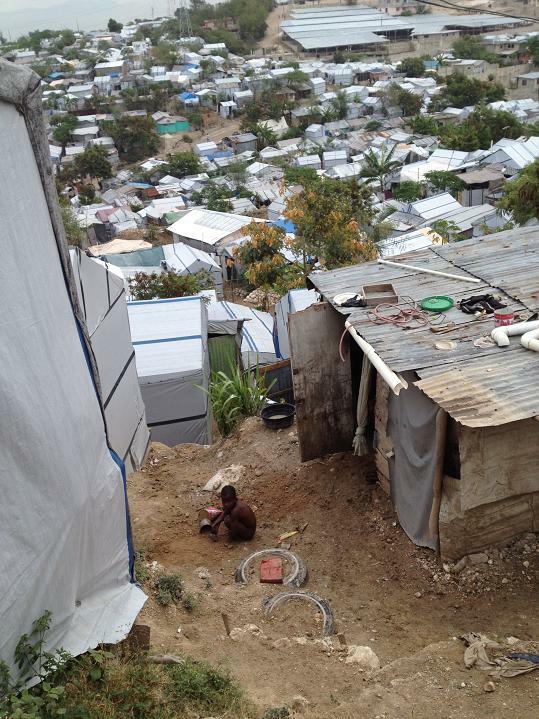 The land is located in a community called Galette Chambon, in the region of Ganthier, that is approximately 18 miles east of the airport in Port-au-Prince. The construction of the sustainable community went so well, so quickly, that Stan resigned from FBCJ effective August 14, 2011 to form But God Ministries to continue this work. But God Ministries is a non-profit, tax-exempt, 501(c)(3) organization. In addition to meeting physical needs, our goal at But God Ministries is to share the Good News of the gospel of Jesus Christ. That Good News is that God so loved the world, including Haiti, that He gave His one and only Son that whoever believes in Him should not perish but have eternal life. But God Ministries seeks to share the hope and love that are found in a relationship with Jesus Christ. The Hope Center was completed in February 2012. It includes 6 buildings. Two of the buildings are used for medical-dental purposes, the third building is a dorm for visiting teams, and the fourth building contains bathrooms, showers, and a kitchen. The fifth building is a missionary house for the American nurse and his family who operate the medical-dental clinic full-time. The sixth building is a missionary house for other visiting missionaries. In addition, a water well, security fence, and septic system are part of the medical-dental complex. In August 2012, our Medical Director and his wife (Tony and Mickie West) moved to The Hope Center in Galette Chambon to live and work on a full-time basis. 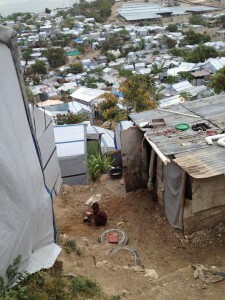 44 houses have been built and families have moved from the filth and hopelessness of a tent city into our new village. A second well was dug and is used daily by the people to receive clean water for drinking, cooking, washing, and bathing. Dozens and dozens of mission teams went to Haiti and worked on the project, involving hundreds of volunteers and numerous dental and medical teams. In November 2014, we completed our second Hope Center in the mountainous village of Thoman, an hour’s drive from Galette Chambon. Approximately 850 American Christians now volunteer on a mission trip to Haiti with us every year. Tens of thousands of patients have been seen at our medical-dental clinics. Hundreds of children have attended Vacation Bible Schools. Dozens and dozens of jobs have been created. Hundreds of children have received scholarships for school. Numerous gardens have been planted and have provided food for the families from the tent cities. In the spring of 2012, we partnered with two churches in Pensacola, FL, First Baptist Church of Pensacola and Hillcrest Baptist Church, to build an orphanage on our property. These two churches built and support an orphanage that will house up to 32 children. They have formed a separate 501(c)(3) organization, Children of Christ Home. Currently, 14 children are living in the orphanage. The orphanage consists of 5 buildings: two dorms, one caretaker’s house, one building containing a kitchen, bathrooms, and dining area, and another building containing a computer room and an apartment for two long-term American interns. “I then asked Thomas that if there was a community that had proper housing and medical care and a school to continue their education, would he and his family and friends be interested in living there. He said to me, “of course. But that’s impossible.” As soon as he said those words, God spoke to my heart and said two words: “But God.” I was immediately reminded of the truth that nothing is impossible with God. I was reminded of that passage in Ephesians 2 that says we were dead in our trespasses and sins, but God, who is rich in mercy, made us alive in Christ Jesus. I was reminded that God has a wonderful habit of working in impossible situations – at the Red Sea, in the lion’s den, in the fiery furnace. “I realized that it was impossible for me to build a sustainable community in Haiti. I know nothing of construction or medicine or agriculture. But God knows everything about all these subjects and He could use us to build a sustainable community that would make a difference today and forever in the lives of hurting people.